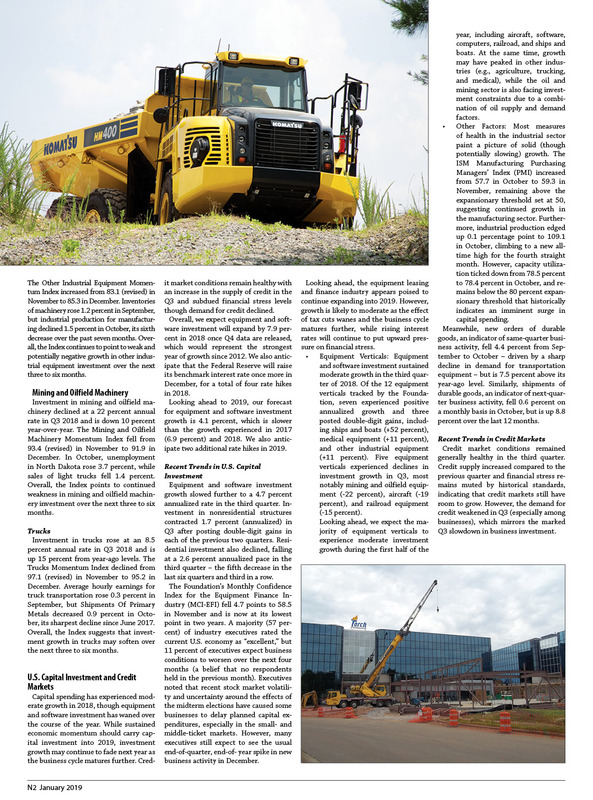 Published on January 29, 2019 in Featured Article and National. Closed Tags: asphalt, bridges, concrete, construction, construction industry, contractors, economy, ELFF, employment, equipment, Equipment Leasing & Finance Foundation, Equipment Leasing and Finance Association, Federal Highway Administration (FHWA), gas tax, heavy equipment, highways, infrastructure, Interstate Highway System, pavement, roads, safety, transportation, unemployment. 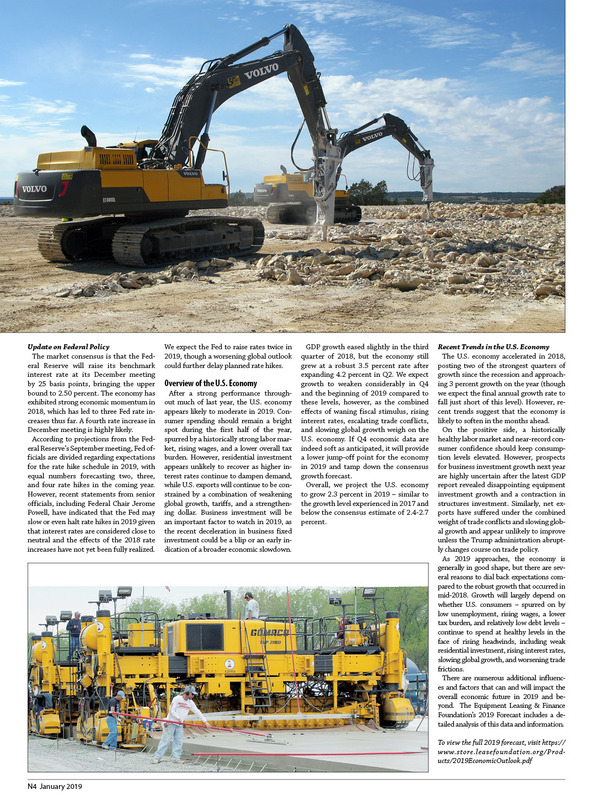 Published on October 24, 2011 in Daily Dirt. 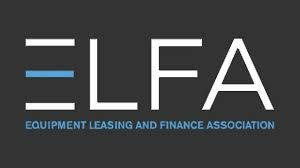 Closed Tags: Association of Equipment Manufacturers, construction, construction industry, contractors, economy, equipment, Equipment Leasing & Finance Foundation, financing, heavy equipment. 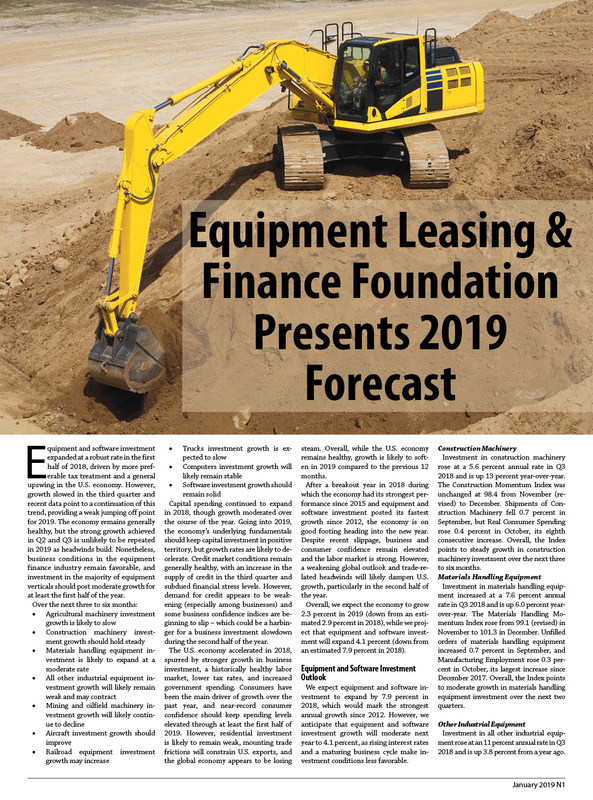 The Equipment Leasing & Finance Foundation (the Foundation) releases the October 2011 Monthly Confidence Index for the Equipment Finance Industry (MCI-EFI) today. Designed to collect leadership data, the index reports a qualitative assessment of both the prevailing business conditions and expectations for the future as reported by key executives from the $521 billion equipment finance sector. Overall, confidence in the equipment finance market is 50.7, up from the September index of 47.6, indicating some respite from the concerns about the global economic situation. The overall MCI-EFI is 50.7, an increase from the September index of 47.6. When asked to assess their business conditions over the next four months, 9.8% of executives responding said they believe business conditions will improve over the next four months, up from 4.9% in September. 80.5% of respondents believe business conditions will remain the same over the next four months, an increase from 61.0% in September. 9.8% of executives believe business conditions will worsen, a decrease from 34.1% in September. 17.1% of survey respondents believe demand for leases and loans to fund capital expenditures (capex) will increase over the next four months, an increase from 12.2% in September. 68.3% believe demand will “remain the same” during the same four-month time period, unchanged from the previous month. 14.6% believe demand will decline, down from 19.5% who believed so in September. 12.2% of executives expect more access to capital to fund equipment acquisitions over the next four months, down from 15.0% in September. 87.8% of survey respondents indicate they expect the “same” access to capital to fund business, an increase from 82.5% the previous month. No survey respondents expect “less” access to capital, a decrease from 2.5% who expected less access to capital in September. When asked, 14.6% of the executives reported they expect to hire more employees over the next four months, down from 17.5% in September. 78% expect no change in headcount over the next four months, an increase from 72.5% last month, while 7.3% expect fewer employees, a decrease from 10.0% in September. 58.5% of the leadership evaluates the current U.S. economy as “fair,” an increase from 55.0% last month. 41.5% rate it as “poor,” down from 45.0% in September. 4.9% of survey respondents believe that U.S. economic conditions will get “better” over the next six months, up from 2.5% in September. 78.0% of survey respondents indicate they believe the U.S. economy will “stay the same” over the next six months, up from 75.0% in September. 17.1% responded that they believe economic conditions in the U.S. will worsen over the next six months, down from 22.5% who believed so last month. In October, 26.8% of respondents indicate they believe their company will increase spending on business development activities during the next six months, down from 30.0% in September. 68.3% believe there will be “no change” in business development spending, down from 70.0% last month, and 4.9% believe there will be a decrease in spending, up from no one who believed so last month.